I would be lying if I said I don’t enjoy Valentine’s Day. Whether I have a boy to spend it with or not, I’m a sucker for love. Moreover, I’m a sucker for bein’ cute & making people happy with flowers, their favorite treats, a gift card to their favorite restaurant, or spending the whole day making them laugh & showing them how much I care about ‘em! -On the flip side of taking your girl or guy out, cook for them!! In my opinion, this is more fun then going out for dinner because you can make their favorite foods, stay in comfy clothes, & have more of a chill, laidback night. Don’t get me wrong though, if it’s a first date, going out for dinner is perfect. -Grab some tea & brunch at a teahouse with your girlfriends! -Scoop your girl up in the morning & have coffee & breaky at a cute lil cafe. -WOW your gal or man with an appointment for a couples massage and/or spa day! Nothing like a day of pampering & relaxation to putcha in the lovin’ mood. -For all you active fellas, take your loved one on a hike & finish off with a picnic that involves champagne & chocolate! -Taking someone on a scavenger hunt could be a fun way to surprise your crush or ask them to be your gf/bf! If you’re a go big or go home kinda person, this is your jam! -Listen, sometimes (most of the time) the best way to spend Valentine’s Day is to be lazy with your bae. Stay in your pjs, bake cookies/desserts, and listen to music or watch movies all day! -Call all your single girlfriends, order take out, drink some wine, & have a face mask/movie night! -Sweep your girl off her feet, throw her in the car, & drive her to a cute air b&b for the night! -For my Sunday lovers, put on your cozy outfit & take a scenic drive listening to y’alls favorite music & hold hands. If you’re feeling real chivalrous, be like Charlie from the Perks Of Being a Wallflower & make your cutie a mixtape!! I would actually cry if someone did that for me like what hello yes, take me to the 90s. -Drive to the beach and watch the sunrise/sunset. 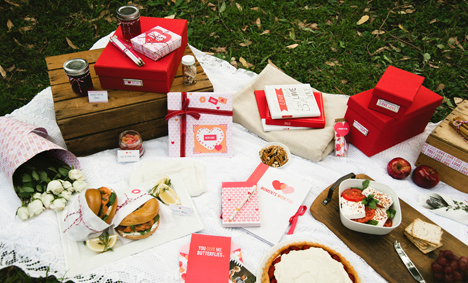 -If you have A LOT of single guy and gal friends, host a Valentine’s Day themed game night!! You can make theme appropriate cocktails & play cards against humanity or other ~dirty~ games ;) ok ew I’m done. This would be fun AF though. P.S. if you decide to have a chill night in bed by yourself, that's okay too!!! Do what makes you happy on Valentines Day; it's the day of love people, so LOVE YOURSELF!